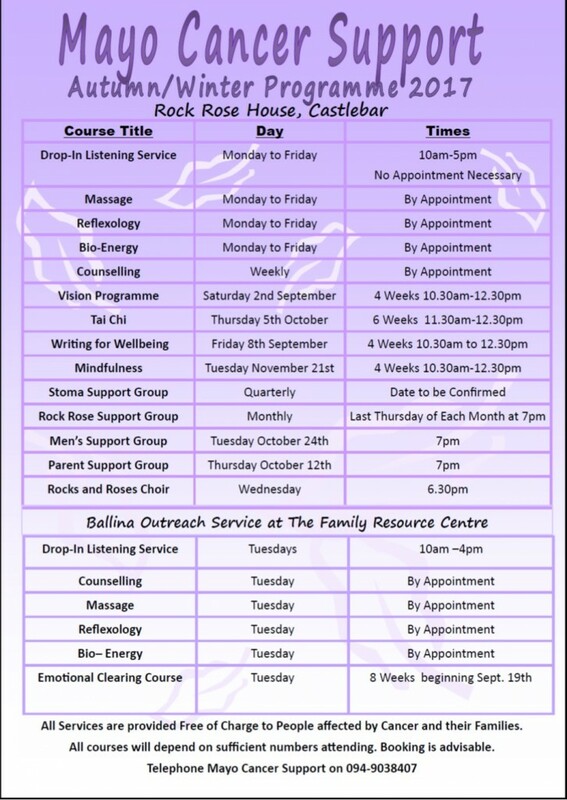 The Autumn Programme have begun at Rock Rose House and at our Outreach Service in the Family Resource Centre in Ballina. All services are free of charge to people with cancer and their families. If you would like to book a course or get more information please call 094 9038407.